First of all, Let's talk about the stand bag. It's a product of beauty. It joins the family line of a brand that builds bags that is of absolute quality. 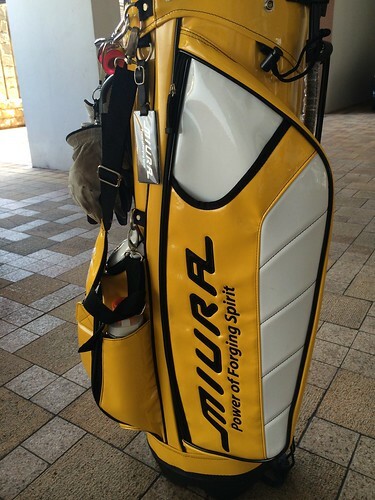 I got the "Mustard" colour stand bag. And every where i golfed, i received nothing but praises from people who laid their eyes on it. Light, durable, plenty of functional pockets, water proof. Even the hood is semi transparent. You can look through and see what is inside. This kind of hood is highly popular in Japan. Don't let this baby fool you. Yes, it is small in size. Yes, it sets up like a blade. 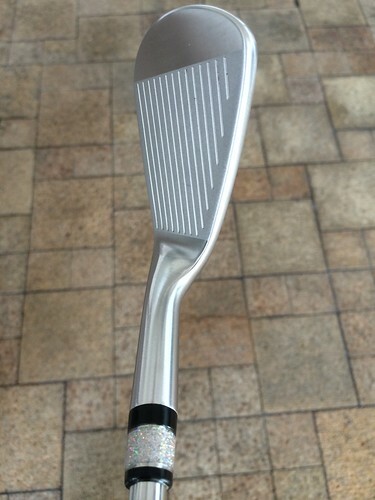 And yes, it is intimidating for golfers who doesn't use blades. But i will say she is UTTERLY forgiving! I am pretty sure i am the 1st in my country to have gamed this iron. I have them installed in NSPRO Zelos 7 with the blink blink Ferrules, coupled with stock Miura Giken Pure Grips. They are on progressive swing weights. so the way i hit each iron is exactly the same. The feel is typical Miura Giken. Very strong and consistent feel. Very rewarding with pure shots. It is also aided by the Zelos 7. The ball launches high and far with the easiest swing. The iron head feel dense and tend to hold on to the ball just for the right amount of time to create the spin. 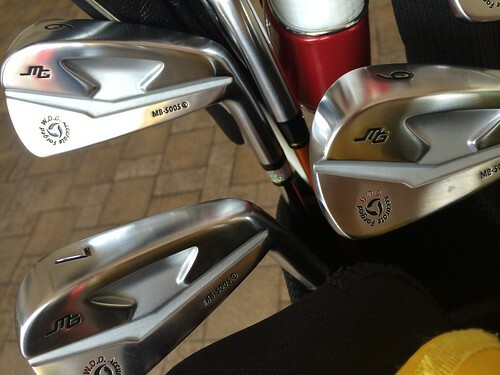 It doesn't cling on too much like some "softer" irons that makes pure hits feel like nothing. The MB5005 gets the right balance of soft, dense and grip of the ball. The grind of the iron also makes hitting the ball out of thick rough like a walk in the park. Somehow it just glides through and the ball jus popped out of the thick grass. 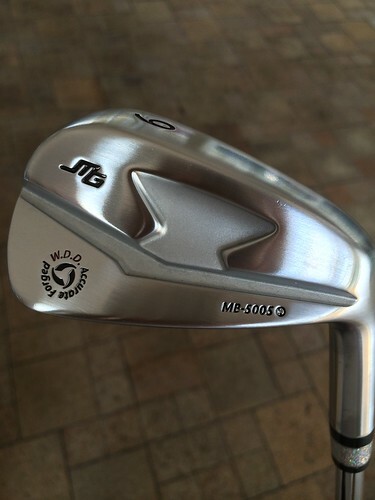 This iron is heaven when hitting off the fairway bunkers. The way the leading edge is set up. You can just confidently dig into the sand and you can be sure the strike is clean. 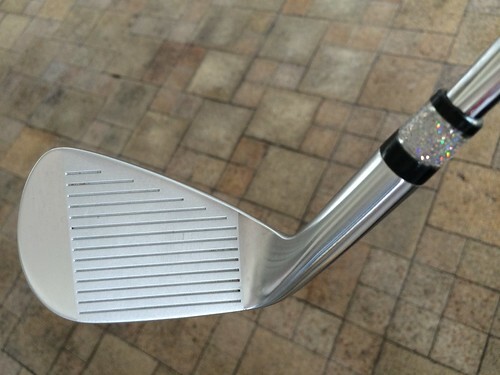 Any good hit with this iron and you can be reassured that the ball will grip the green and stop. 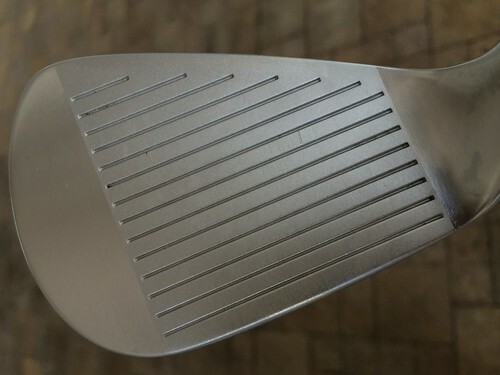 The grooves are top class and hitting on small greens is just easier with this iron. All in all. This iron set is good value for money. For golfers who seeks improvement in their game with a superior blade iron that has a forgiveness of a cavity, this is the iron for you. It is a "Must buy"!